Finding mold in a residential or commercial property is unfortunate and rather stressful. If you are concerned about a potential mold problem within Camden County, NJ property, you might want to consider bringing in a mold professional to complete a professional Camden County, NJ mold inspection. A thorough MasterTech mold inspection includes: a visual inspection, moisture mapping, thermal imaging, and collection of air and surface samples for testing and analysis. 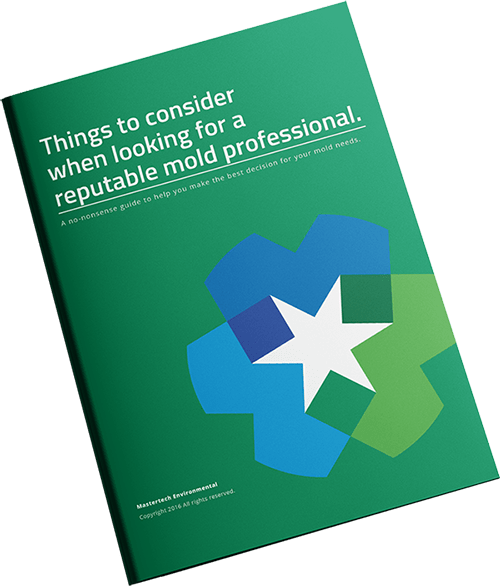 Following the mold inspection, your inspector will develop a formal, detailed report of findings outlining all the findings and recommendations for improvement. If deemed necessary, MasterTech will develop a scope of work appropriate for your specific mold case. Mold can be very unfamiliar territory for your average Camden County, NJ home or business owner. As a result, uncovering prolific mold activity can easily overwhelm property owners. Mold should always be approached with a sense of urgency. The most effective way to protect your family and property from further damages and costlier repairs is to complete a professional mold inspection immediately. Even if you are unsure if it is, in fact, mold, a reputable NJ mold removal professional will be able to help you make that differentiation and provide you with a peace of mind. If you are encountering signs of mold growth, and if you are concerned that it might be a serious issue, call a professional to have your property inspected. MasterTech inspectors are meticulously trained to provide you with the most thorough and non-invasive mold inspection possible. The MasterTech inspection process is to designed to recognize the moisture source and game plan the most appropriate course of action for the safest, most effective, and most efficient resolution. A thorough assessment will help to identify all areas of concern in your Camden County, NJ property. Often times, the mold growth can be far more extensive than we can see. This is why, during a proper inspection, we employ moisture meters and thermal imaging cameras. Such tools help inspectors get a better understanding of what is happening beyond the surface of building materials, areas that we cannot easily access without disrupting the mold spores. Ultimately, the goal is to maintain the containment of the mold development as much as possible. MasterTech mold inspections are specifically designed to gather as much information as possible without taking any invasive measures that can risk cross contamination of the surrounding areas that are not properly protected (i.e: cutting into drywall, pulling out insulation, ripping up carpet, peeling off wallpaper, etc). When it comes to mold, your property value, and your family’s health, you cannot afford to do the job wrong the first time. A major priority in mold remediation, to ensure the job is done right the first time, is identifying the moisture source that fed the mold growth in the first place. Often times, mold development is the result of major water damage in your Camden County, NJ property. If a property is not properly and thoroughly dried out within a reasonable time, you risk severe mold development. In some cases, the moisture source can be a leak, seepage, flooding, elevated humidity, and various other water problems. Taking the time to properly evaluate the causation of your mold problem is vital to all mold remediation to ensure that once the mold is gone, it will not come back. An important detail of a proper mold remediation is what happens after the mold is removed. A proper and thorough scope of work will include all recommendations for preventative measures that you can implement to ensure that there will be no future mold development. As an assurance that the job was done right the first time, MasterTech Environmental offers a 5-year, mold-free warranty with all our mold remediations that guarantees that all treated areas will not present mold development for up to five years so long as the appropriate preventatives were implemented. Each mold case is different, so it is important that the scope of work for each mold removal in Camden County, NJ is specifically developed to address your needs. Every mold remediation should include: identification and treatment of all areas of mold, a safe and effective cleanup, and recommendations for preventative measures that ensure mold and moisture control in the future. MasterTech has taken time to carefully craft a 12 Step Mold Remediation process that promises the safest, most efficient, and most effective mold remediation in Camden County, NJ. MasterTech Environmental is one of New Jersey’s top rated Mold Damage Contractor for residential and commercial buildings and currently services all of New Jersey and the Greater Philadelphia Tri-State area. We are a family owned and operated, local company that specializes in environmentally safe disaster recovery. We are fully licensed and insured in New Jersey for mold testing and remediation and offer a 5 year warranty. All our technicians are certified through the IICRC and ABRA to ensure that they do the job correctly. Our technicians are also licensed and certified to clean up bio hazard/hoarding conditions. MasterTech offers 24/7 response for emergency water, crime and death scene cleanup. MasterTech Environmental is an A+ rated BBB Accredited Company and Angie’s List Super Service Award Winner. We are featured on and trusted by HGTV and DIY Networks.